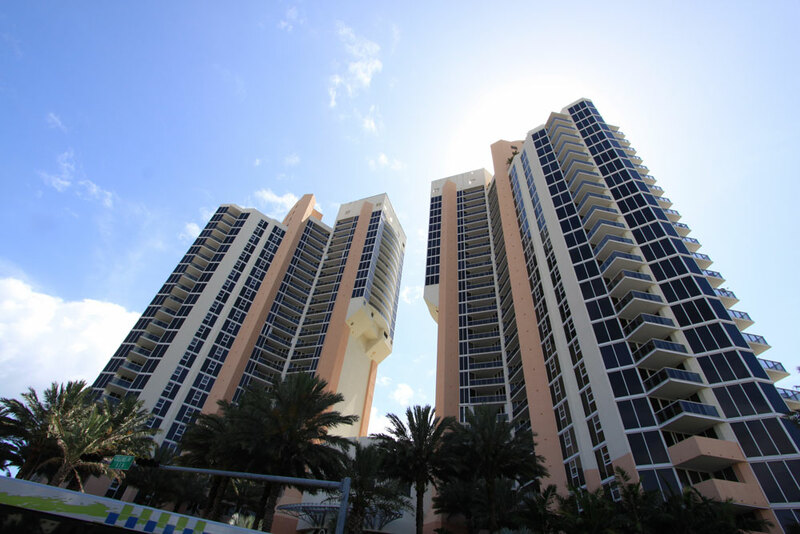 Ocean I, II, III, and IV is a complex of luxurious waterfront condos in Sunny Isles Beach. The total number of residences is 990 and they were completed between 1999 and 2006. Every residence in an Ocean condominium enjoys views of the Atlantic Ocean, bay, and city views of Sunny Isles with resort style amenities. Each of the Ocean buildings has a notable entrance and lobby and each has differing architecture and floor plans. They all enjoy top of the line finishes including granite countertops and marble flooring with European cabinetry. Building amenities include over 250 feet of direct ocean frontage, events space, spa, a state of the art fitness center, business facilities, 24 concierge and security. No waterfront luxury condominium would be complete without a glistening pool and lounge area, of which each building has its’ own.